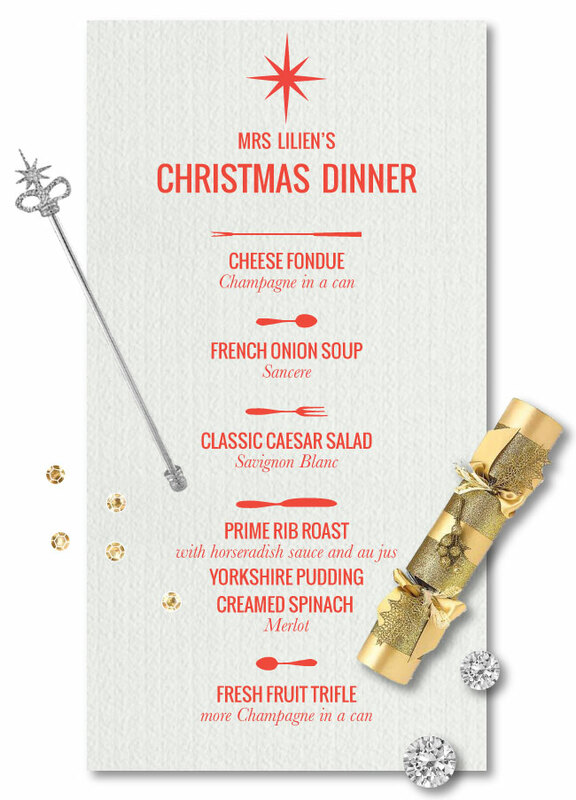 Behold, my celebrated and highly acclaimed Christmas dinner menu - a curated feast befitting of the most Christmas-y of venues! Why, it's not just not Christmas without a proper roast BEAST - not to mention cans of champange... at the very least!! Here at the House of Lilien, we do things right - we drench our palates in nostalgic decadence and boozy delight! We hold strong to traditional fair - and pair it with just enough of booze to slightly impare! Later today I'll be posting one of the above recipes - you won't want to miss as it's one of my specialties. For the remaining menu items you'll need to consult your digital device - while I am rather accomodating, let's face it... I'm not THAT nice! !